Car insurance is one of the most important coverages to have as a driver in Georgia. But when there are so many different car insurance companies to compare, how do you know which one to choose? Who provides the best coverage with the cheapest rates? And why do premiums differ so much from one insurer to the next? We can help you through this stressful process by doing all the hard work for you. 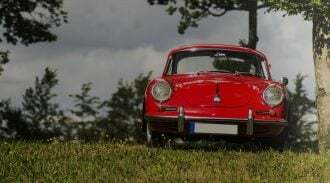 Comparing multiple car insurance quotes from many popular Georgia insurance companies has never been so easy. In just minutes through our comparison tool, you’ll find the coverage that’s right for you, with affordable rates you can’t turn down. All of these factors contribute to determining your premium. Since they differ person-to-person and companies hold different values for different factors, premiums vary. How Much is Car Insurance in Georgia? The average cost of auto insurance in Georgia is $1,321 (updated March 2019). This is slightly down from 2018 at $1,395. These are state minimum averages so if you are considering a full coverage policy, you should expect to pay an average of $2,542. To help display rates for safe drivers in Georgia, we used the below profile. Company names are not disclosed due to frequent algorithm updates that may fluctuate the final rate from day to day. Below we have provided a driver profile to represent a high-risk driver who has violations on their driving record. Being married has its perks. You receive deductions on your taxes and you have someone to share your time with, but does being married mean you will have lower car insurance rates? Find out below how being married affects your car insurance. 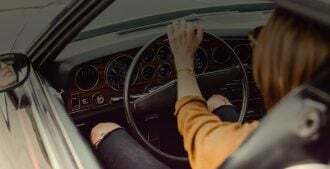 How Much is Car Insurance for Young Georgia Drivers? Young, inexperienced drivers see the highest car insurance rates! See how rates decrease from ages 18 -25 below. As a young driver, it’s vital to compare rates from as many companies as possible to find the most affordable rates. Which Georgia Cities Have the Most Expensive Car Insurance? People who live in large cities typically pay more for insurance than those in small towns and rural areas. We analyzed thousands of Georgia insurance quotes and found the most (and least) expensive cities to insure your car. You can save a significant amount of money by finding the right auto insurance company. It pays to run a comparison to ensure you’re finding the best cheap car insurance policy. We can help you compare lots of options at once. Get started below. After answering a few questions, we’ll display multiple rates from local companies to help you find an affordable policy that’s right for you. You may want to purchase the state minimum coverage. Or, you may reconsider and opt for a higher amount, because if you’re ever at fault for an accident and the damage exceeds your policy limits, then you’ll be personally responsible for covering the remainder. And that can be a pretty hefty sum of money. Plus, it doesn’t usually increase your premium substantially to carry double the minimum coverage requirements. If you’re paying in monthly installments, you’ll hardly even notice the difference. If you ever find yourself in a situation that requires you to use the coverage, you’ll be glad you spent the extra money. Like most other states, Georgia doesn’t require you to carry uninsured motorist coverage. This is an optional form of coverage that protects you if you’re in an accident where the driver at fault cannot pay for damages being that they are under insured or not insured at all. Most people aren’t aware that there are two systems to work out liability after a car accident: fault and no-fault. Some states have adopted the system of “no-fault” while others, like Georgia, have adopted the “fault” system. Here’s what that means for you: If you’re involved in a car accident that is not your fault, the other party who is at fault is liable for any personal injuries or property damage from the accident. And that person’s car insurance policy is first in order to cover the financial obligations of the liability. Once their policy is exhausted, your policy may be used to cover whatever expenses might be left. File a third-party claim directly with your insurance company. File a claim with the person’s own insurance company, and that firm will then contact your insurer to seek compensation. Pursue a personal-injury lawsuit in civil court. This is usually the last resort, and generally only when a settlement cannot be reached. This contrasts with the processes in a no-fault state, like New Jersey, where the injured person must exhaust his own policy limits before pursuing a claim with the other party’s insurer. Proof of insurance is electronic through the GEICS system in Georgia. If law enforcement pulls you over, the officer cannot accept your insurance card as proof of insurance. Instead, the officer will run a check in the GEICS database to see your insurance status. This check is also run when you register or renew your auto registration. If you do not have insurance, you cannot register your car in Georgia. This doesn’t mean you don’t have to carry your insurance cards with you or keep them in your vehicle. They’ll be necessary if you ever get in an accident, so you can exchange information with the other driver(s). Compare Rates from Multiple Insurers in Minutes!